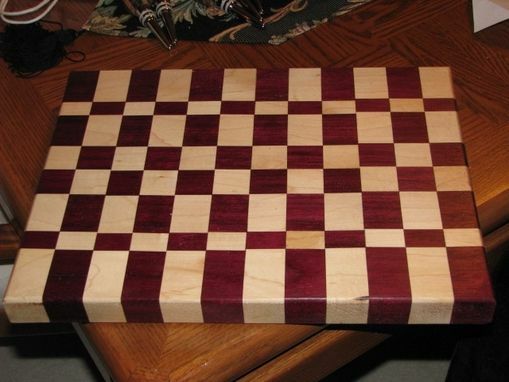 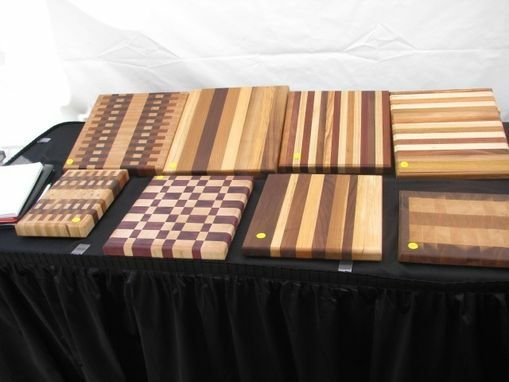 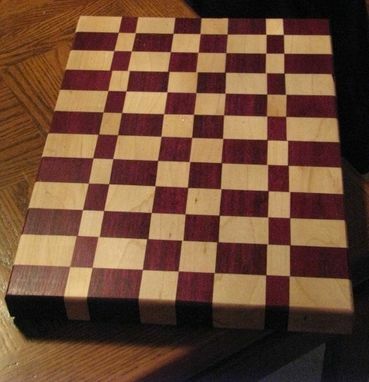 The End Grain Cutting boards are made from assorted hardwoods such as maple & purple heart or Cherry, Walnut & Maple. 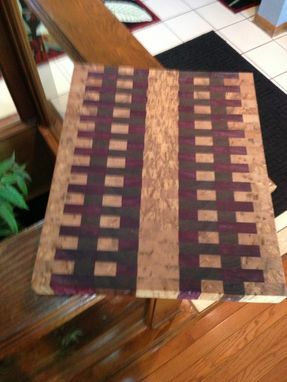 the boards are laminated together lengthwise and flattened. They are now cut width-wise to expose the end grain. 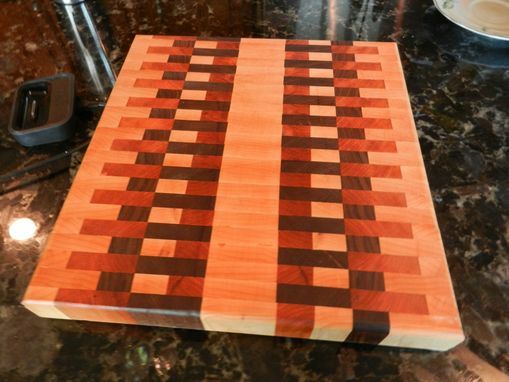 The end grain cutting board will last much longer than the edge grain and is more durable.